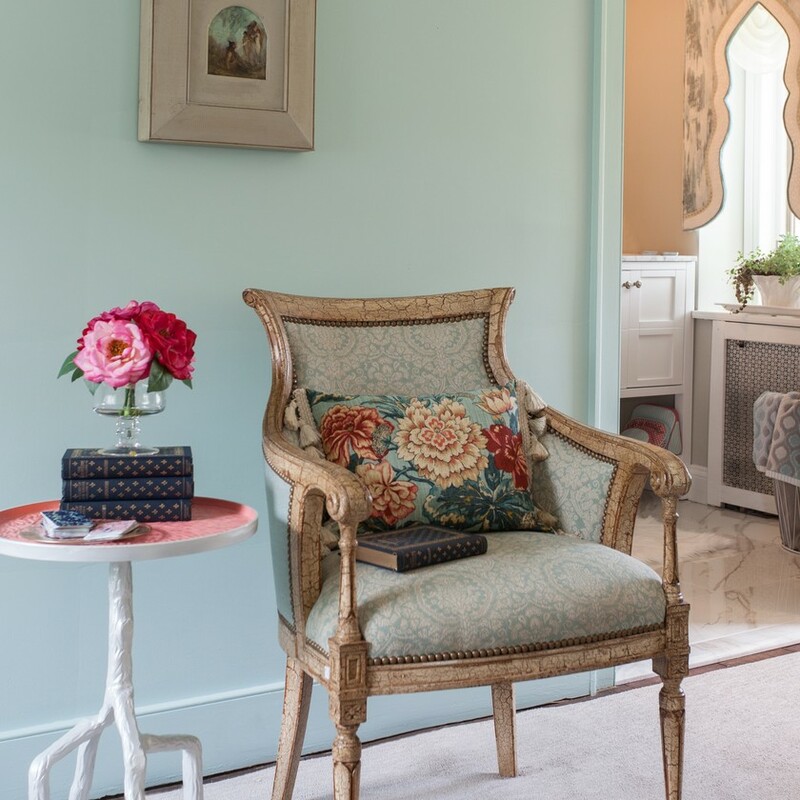 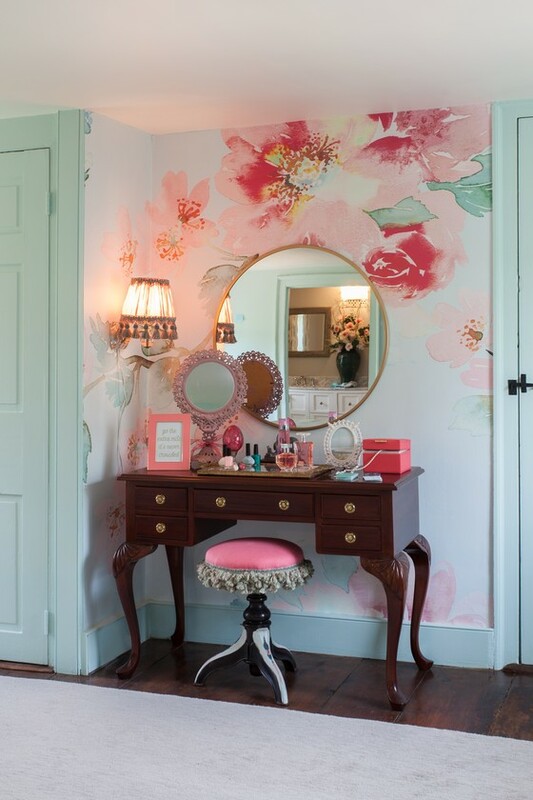 Seafoam walls and shimmery ivory fabrics create an elegant retreat for one sophisticated young lady. 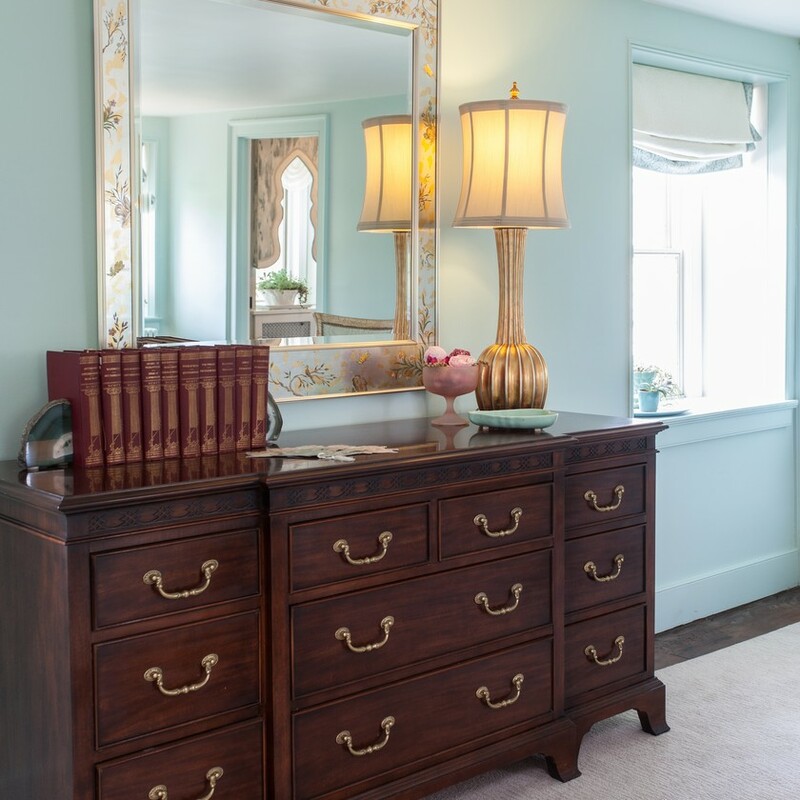 You'd never know how dilapidated this historic farmhouse was before this amazing update. 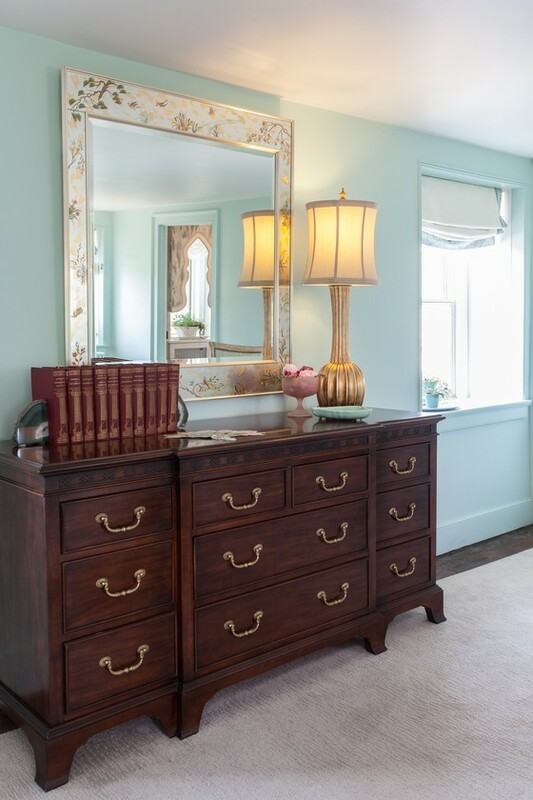 A cherry dresser with carved details provides ample storage in this young lady's bedroom. 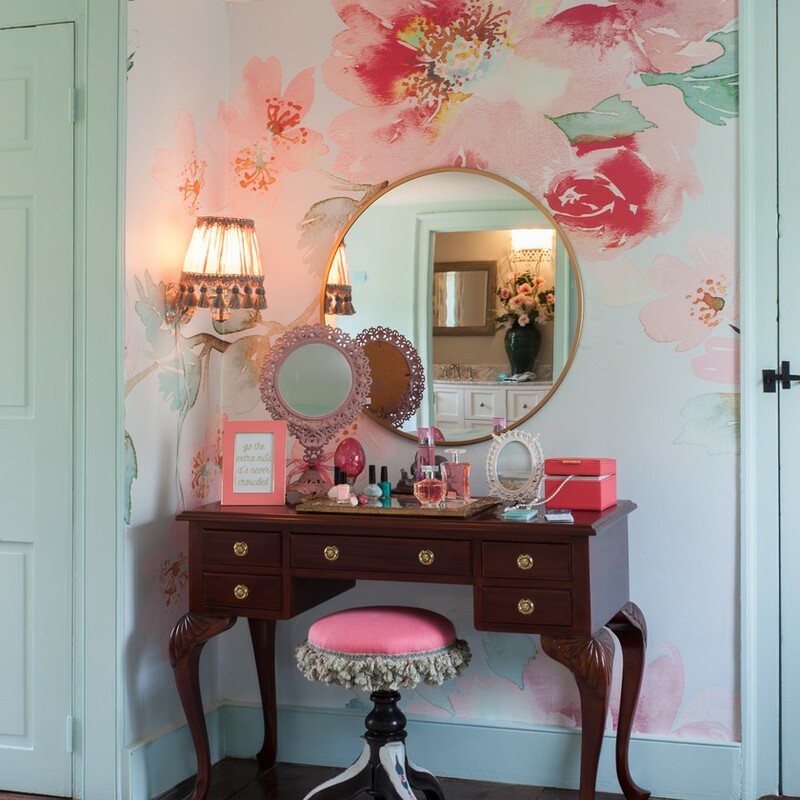 The handpainted eglomise mirror is luminous and artful on the seafoam colored walls. 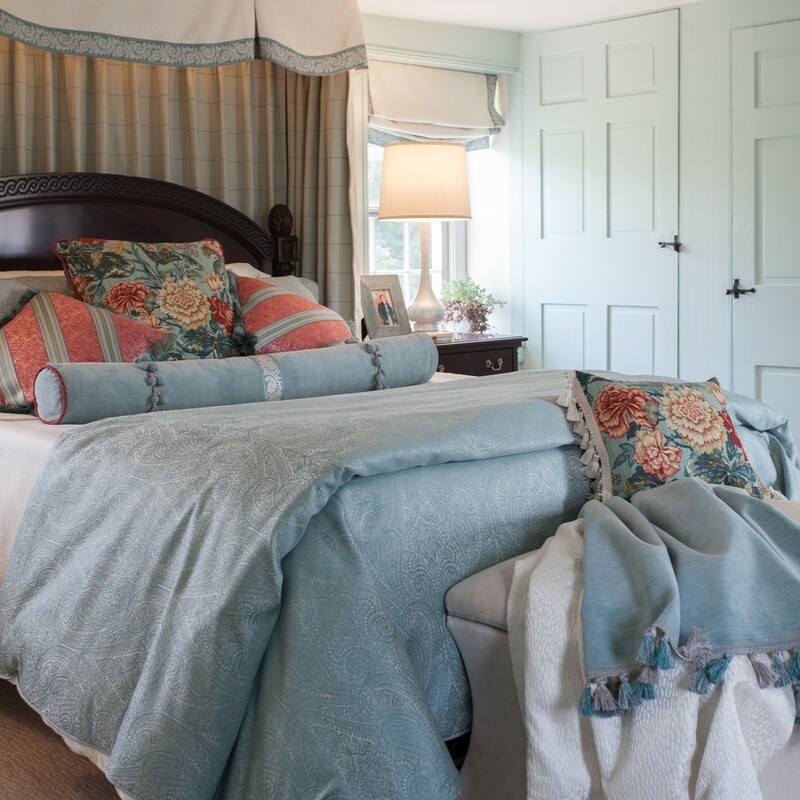 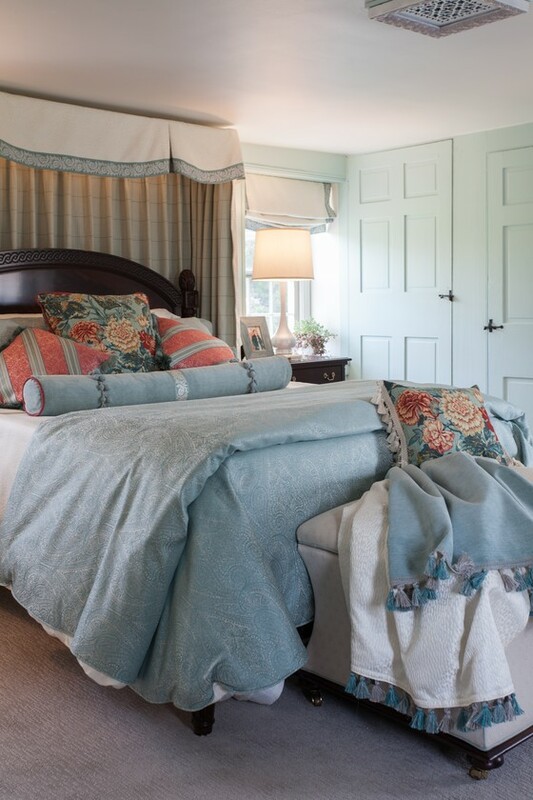 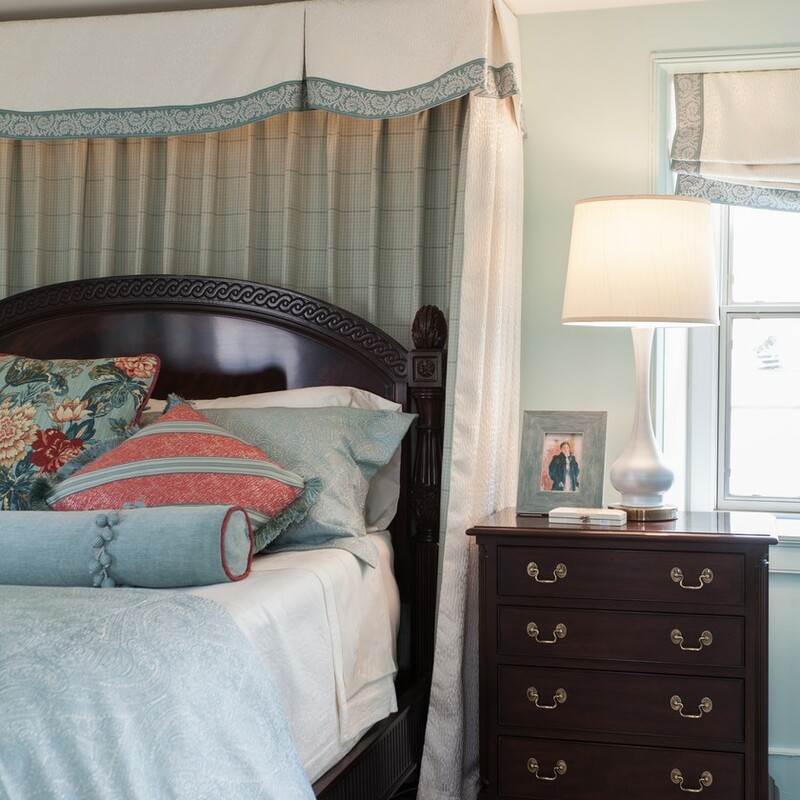 Custom bedding softens the dark wood traditional furnishings in this young lady's bedroom. 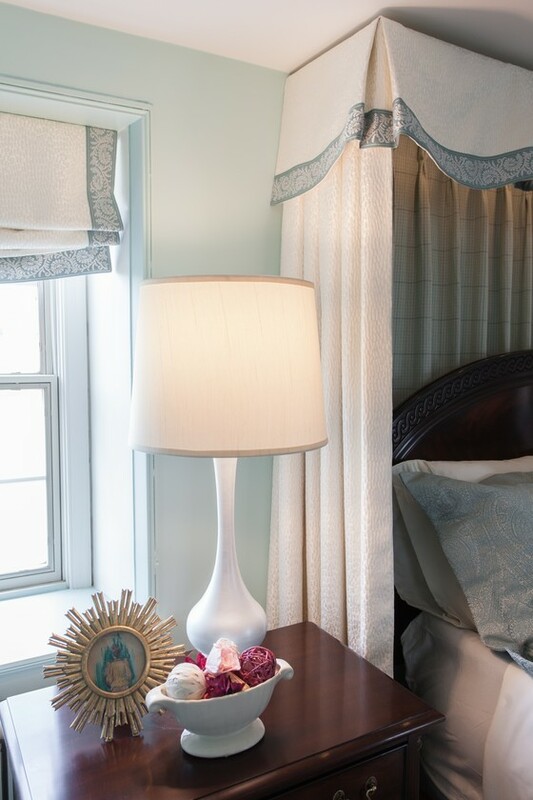 White custom bedhangings and roman shades are enhanced with a lovely banded edge detail. 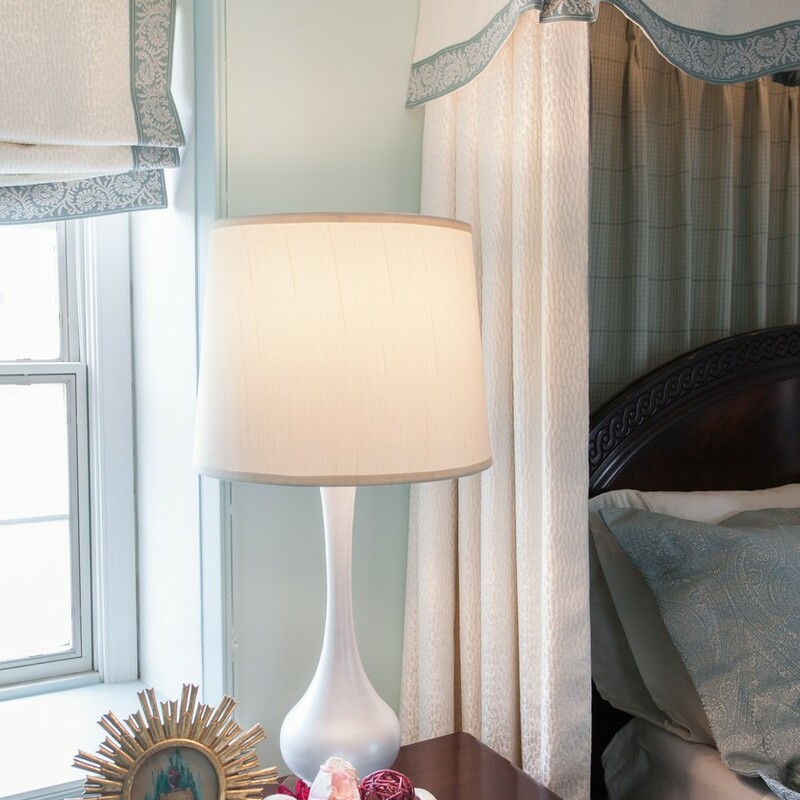 A sinuous lamp updates the traditional furnishings and provides ample reading light at the bedside. 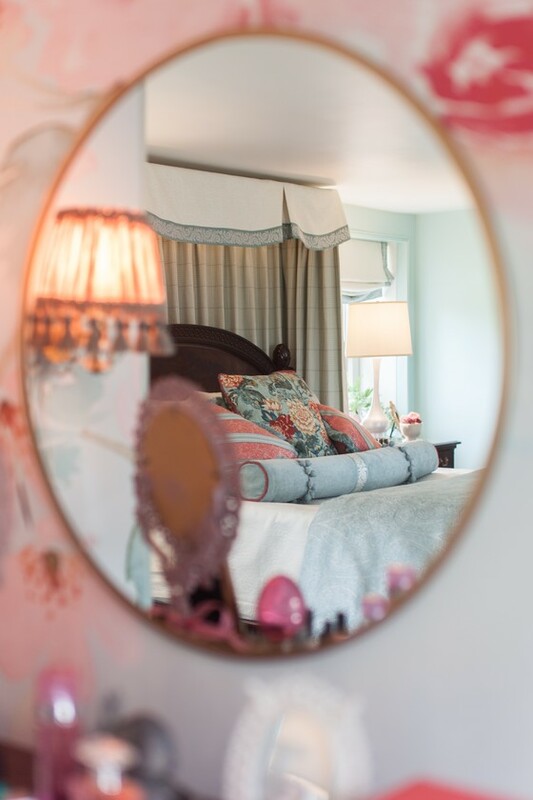 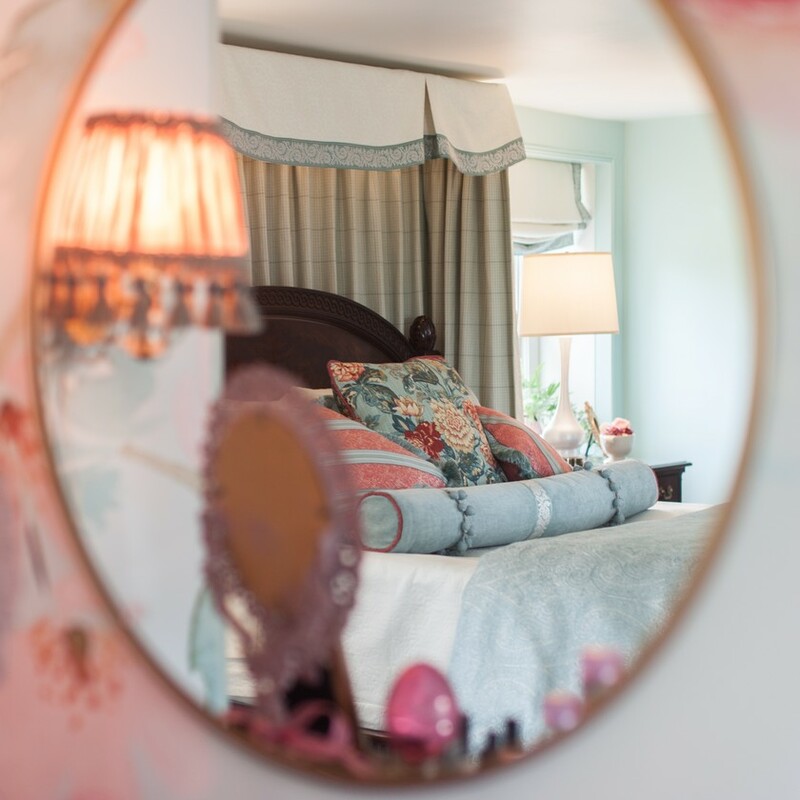 The beautiful custom bedding is reflected across the room in the vanity mirror. 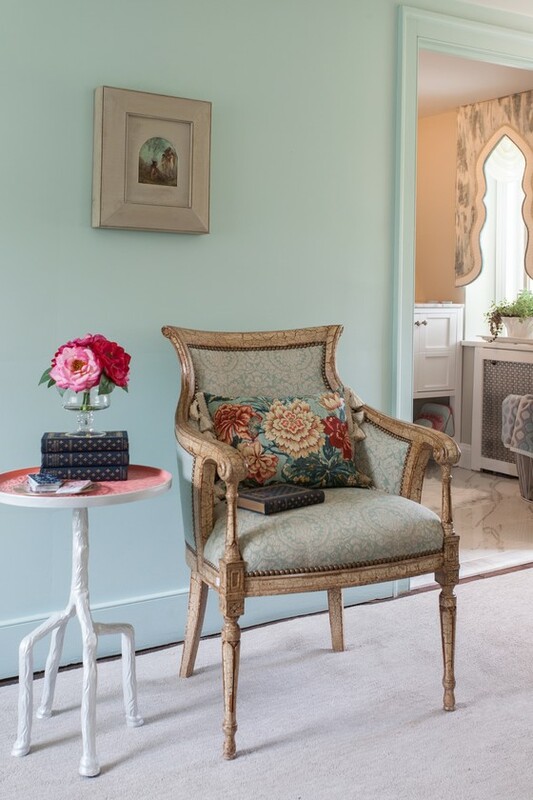 A reading chair combined with a petite faux bois table creates a nice little spot to relax and read a fairytale. 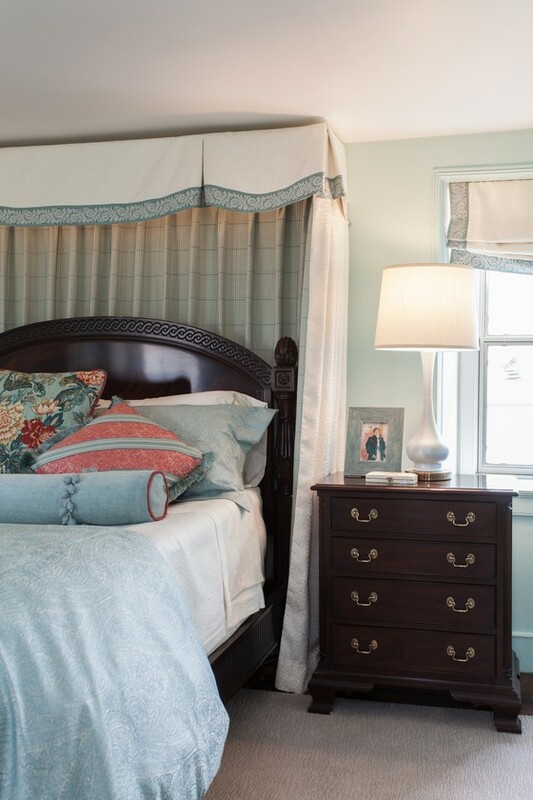 A custom duvet cover, oversided bolster and custom pillows adorn the bed, with a large storage ottoman at the foot. 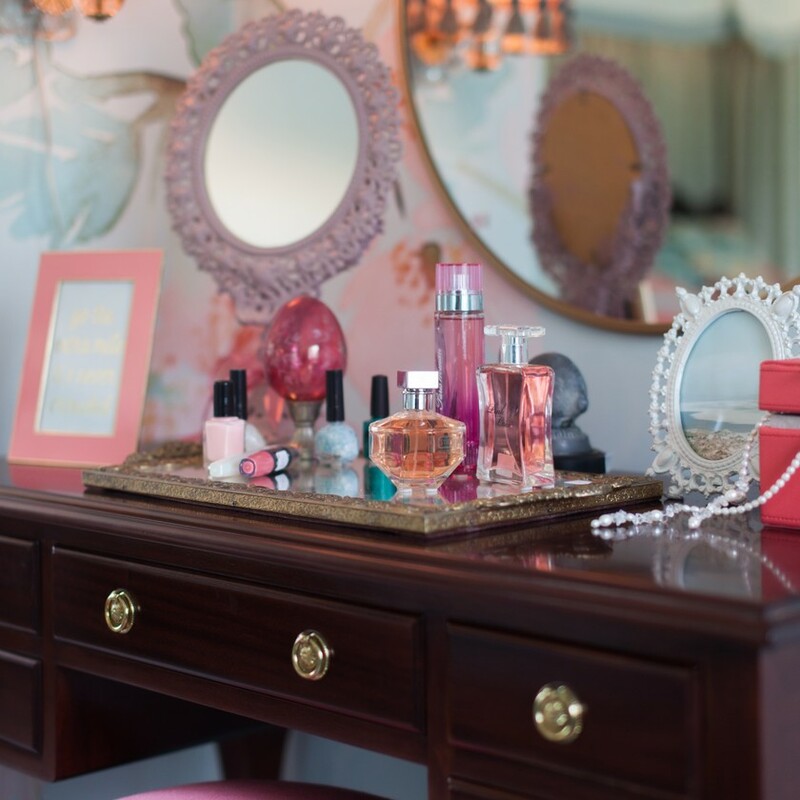 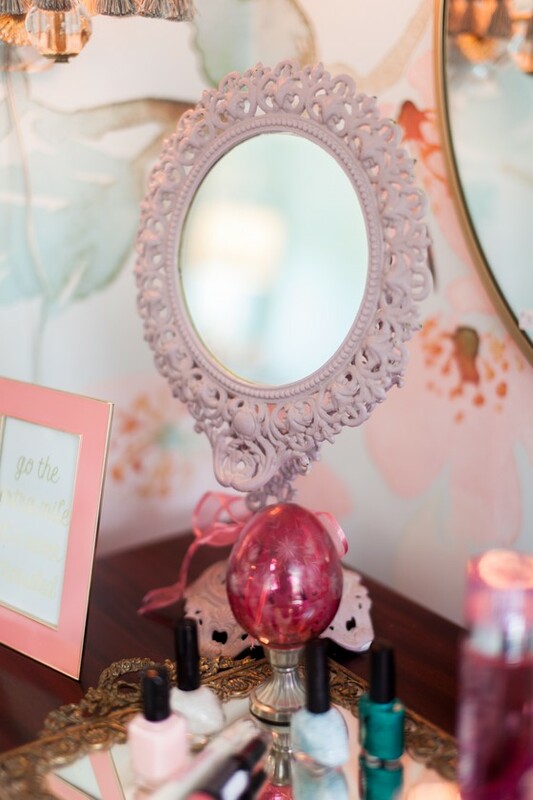 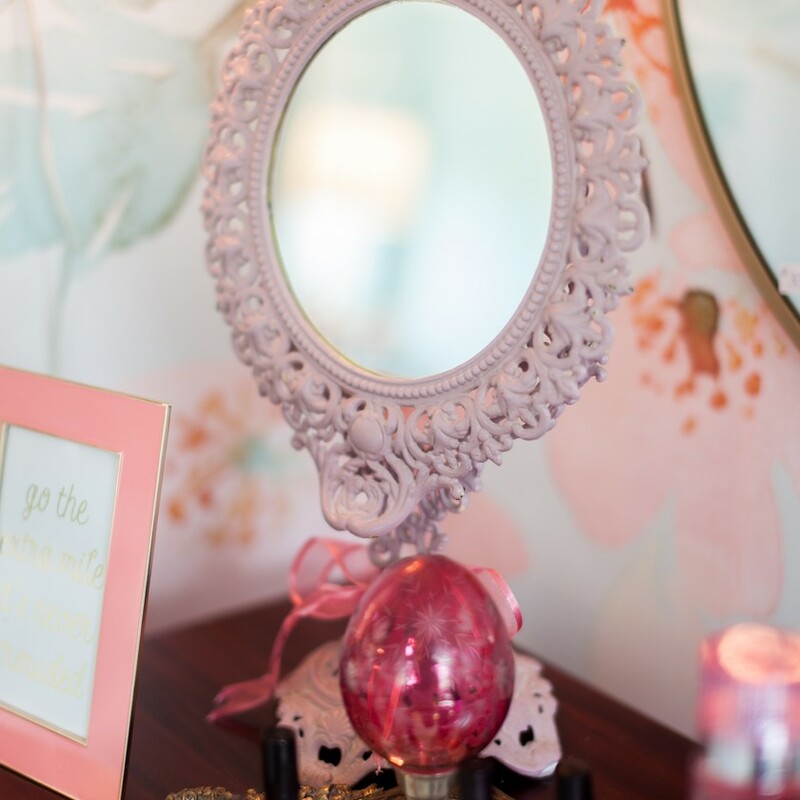 Perfumes and makeup alongside treasured jewelry atop the dressing table. 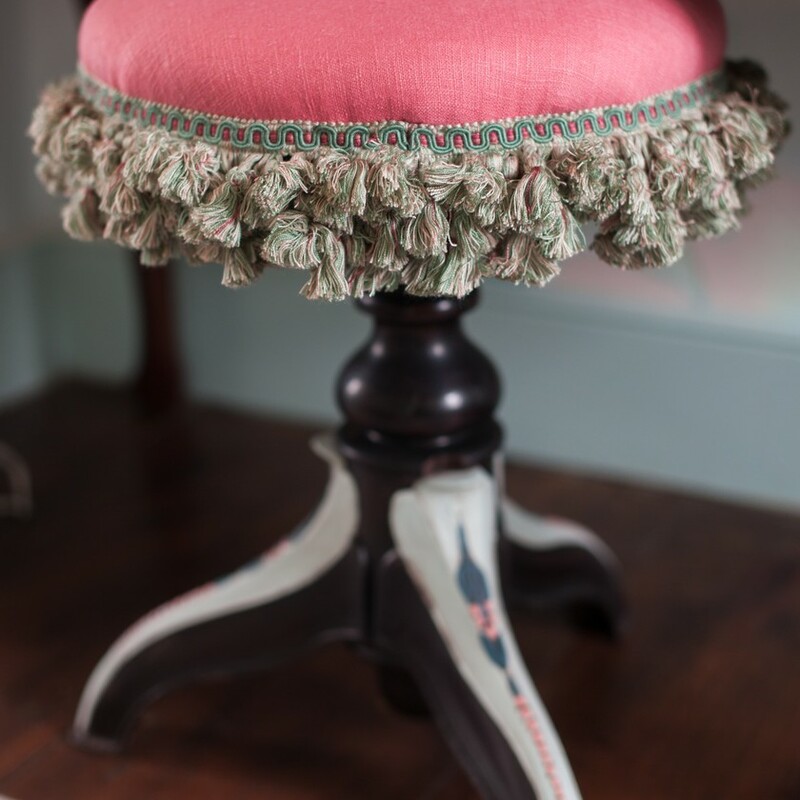 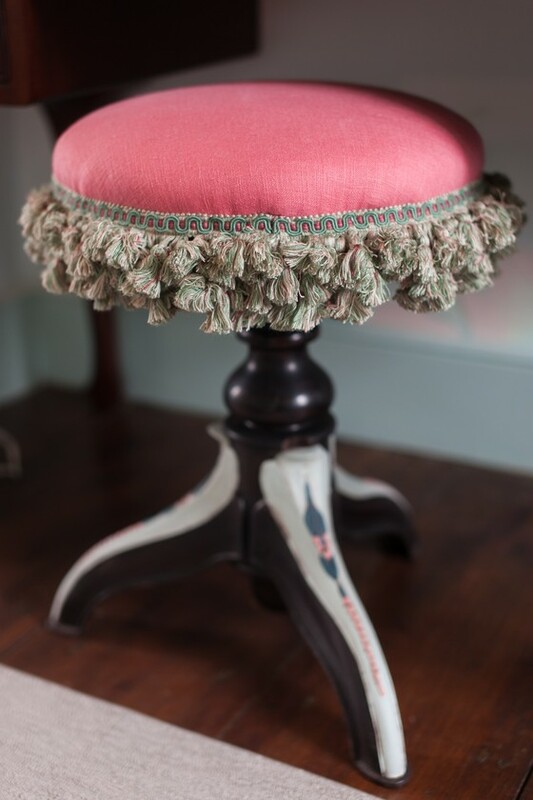 Antiques accessories and makeup on top of the dressing table vanity..
An antique piano stool covered in coral linen and adorned with sumptuous tassel fringe is used as seating for the vanity.